When the txtr beagle launched last Fall I hated the device because it had been intentionally hobbled by txtr (I never did understand why). Txtr insisted at the time that the beagle was not hobbled and that it was still going to be successful. They were supposedly already talking to numerous telecoms who were going to sell the beagle to their customers. Now it looks like that has changed. In addition to selling the txtr beagle in the US with a retail of $69, this smartphone accessory is also coming to Germany. 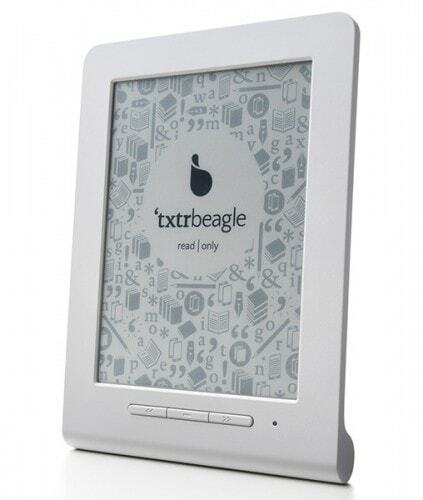 I've just read that txtr plans to sell the beagle at retail in their home market of Germany. The exact price is still up in the air, but it is expected to cost 59 Euros when it hits store shelves in April. Yeah, I don't think the telecoms like the beagle anymore than I did; that's going to be a problem. This device is designed and intended to be sold along with a new smartphone as an accessory; it can't even load ebooks without the files being sent from txtr's Android app (and that requires Android 4.0). I foresee people buying the beagle, realizing they don't have a compatible smartphone or tablet, and then returning it. The inevitable buyer confusion is going to make this a fiasco, and if txtr is choosing to go with retail anyway they are either fools or don't have any other choice. TBH, I think hardly anyone will buy the beagle now that it is no longer the cheapest ereader or the smallest ereader or the lightest ereader (the Pyrus Mini wins on all 3 counts) nor even a real ereader. There are better ereaders on the market that offer more bang for your buck. Here in the US you can buy the Kindle or the Nook Touch for the same price as the beagle and get a much more capable ereader. And in Europe you can buy the Trekstor Pyrus Mini, an ereader with a 4.3" screen that is both lighter, cheaper, and more capable than the txtr beagle. I have a Pyrus Mini myself, and like I wrote in the review it is not a bad ereader for the price. Why on earth would someone want a TXTr when they can have a Kindle or a Nook for the same price? The main attraction of the Beagle was its price. With that gone it’s going to be yet another failed device.